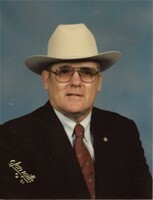 Max Junior Ewart, 76, of Vine Grove, died Monday, April 1, 2019 at his residence. He was preceded in death by an infant daughter, Tracy Ann; his parents, Max and Dorothy Ewart of Stockport, OH; two brothers, Jay and Joe Ewart; and one sister, Joyce Jackson. He is survived by his wife of 57 years, Ann Brown Ewart; two daughters, Cheryl Ewart (Greg Whelan) of Webster and Karen (Carlos) Amaya of Cincinnati, OH; one son, Gary (Sharon) Ewart of Vine Grove; one sister, Joann Wallace of Stockport, OH; five grandchildren, Andrea (Corbin) Pomeranz of Philadelphia, PA, Chris Amaya of New York City, NY, Melanie (Joe) Blackstone of Hodgenville, Maci Belfiore (Austin Hornback) of Rineyville, and Chris French of Radcliff; six great grandchildren; two great-great-grandchildren; one sister-in-law, Pat Ewart of McConnelsville, OH; one brother-in-law, Cecil Jackson of Spring Hill, FL; and many nieces and nephews. Max was a veteran of the U.S. Army and a member of Valley View Baptist Church where he served as a deacon and teacher of a men's Sunday School class for many years. He and his wife were owners of A-1 Auction and Realty in Vine Grove where he served as an auctioneer and realtor for more than 28 years. Max was instrumental in organizing the Vine Grove Bluegrass Festival. With his insight, he drew plans and organized the volunteer effort to build the Ewart Ampitheater and campground for a festival that will celebrate 20 years in Sept. 2019. The funeral will be at 11 a.m. Saturday at Valley View Baptist Church in Vine Grove with Rev. Christian Burton officiating. Burial follows in Vine Grove Cemetery. Visitation is from 3 to 8 pm. Friday at Brown Funeral Home in Elizabethtown and continues at 9 a.m. Saturday at the church. In lieu of flowers, donations may go to Hosparus of Central Kentucky or to the American Cancer Society. Condolences may be expressed at www.brownfuneral.com.